Jason flicks should always be included. 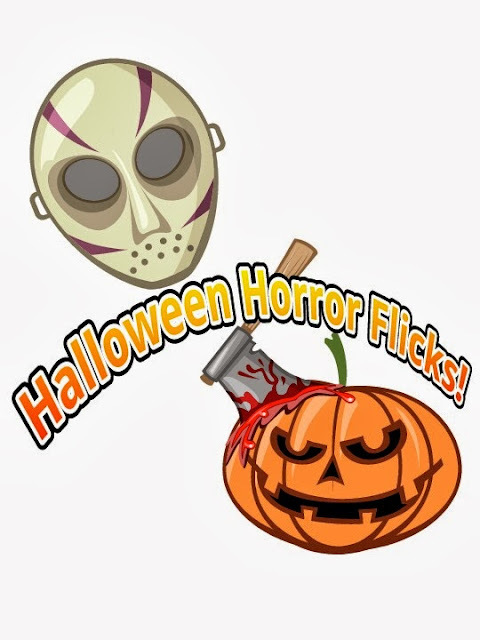 In keeping with the horror movie theme of Halloween I am trying to watch at least one horror movie a day for the month of October and the days I miss I double up if time allows. This weekend, via +Netflix I watched two, Hellraiser: Bloodlines and Grave Encounters. Hellraiser:Bloodlines- This was the last Hellraiser movie I saw, the films are weird because they do try to connect them over time but I never get how there is a new one if Pinhead gets killed in a few of the sequels only to come back and not recall his previous arse whoopins. Bloodlines, was like a Hellraiser anthology, and since I like anthologies I don't mind re watching this one. It follows the bloodline of the toy maker who designed the puzzle box that causes all the Hellraiser messes we see through all the movies and is the key to sending Pinhead back to heck! We get to see a battle over time between Pinhead and the toy makers ancestors, its not bad and worth it for some old school gore effects mixed with the CGI that was just becoming popular when this was out in 96'. Grave Encounters- Yet another found footage style movie, filled with shaky cam and some decent effects. The shaky cam is tolerable if the story sets up its reasoning properly, and this film does that since the title of the film is also the title of the paranormal hunter show that has set up cameras to try and bother ghosts. I saw "bother" because that's all they seem to be doing on those shows, but people like to be scared until there is something to be scared of for real and that's the premise of the movie. Having poor lighting as the paranormal shows tend to have help them get away with some of the cheaper effects in this film. It's not bad, and it was good enough to get a sequel which I'll probably watch next week. That's pretty much all the horror I had time for over the weekend, AMC's Fearfest starts this weekend as well as The Walking Dead so that's some nice filler horror if you can't find anything to watch for this early part of the Halloween season. I have to say...I did watch The Simpsons Tree house of Horror which is the only time I watch that show because I think its run its course and I hate it when they do stuff not related to horror and include it in those episodes. So, I won't mention to much about it other than the intro was cool.